Global Summit on Toxicology and Pharmacology is organized by Ology Mavens Inc and will be held from Apr 25 - 26, 2019 at AC Hotel by Marriott Valencia, Valencia, Spain. The target audience for this medical event is Toxicology Professionals, Genetic Professionals, Pathology Professionals, Forensic Professionals, Pharmacologists, Pharmaceutical companies, Pharmaceutical Industrial Giants, Nobel laureates in Health Care, Bio-informatics Professionals, Research Institutes and members, Professors, PhD Scholars, Students, Business Entrepreneurs. Global Summit on Toxicology and Pharmacology is designed to bring forth the most up to date information with a complete approach to diverse areas of interest. The topics of the summit will reflect the current advances, current trends, future trends and novel approaches in Toxicology and Pharmacology. We hope Toxicology Summit 2019 is the best platform to discuss the latest innovations with a complete approach to diverse areas of interest. At this summit you can meet the world leading toxicologists, pharmacologists, clinical research professionals and biochemists to core the knowledge and surpass in this field. Course Highlights: • Analytical Toxicology • Applied Pharmacology • Environmental Toxicology • Experimental and Toxicologic Pathology • Forensic Toxicology • Genotoxicity • Industrial & Occupational Toxicology • Medical and Clinical Toxicology Additional details will be posted as soon as they are available. International Osteology Symposium is organized by Osteology Foundation and will be held from Apr 25 - 27, 2019 at Barcelona International Convention Centre, Barcelona, Catalonia, Spain. The target audience for this medical event is for all oral and maxillofacial surgeons, periodontists, and oral health professionals interested in implant dentistry and regenerative therapies, where international renowned experts present the current status of knowledge and research, linking science with practice in oral tissue regeneration. 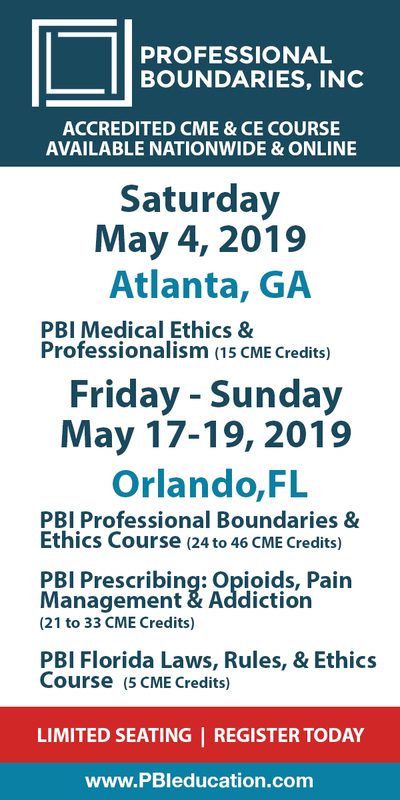 This CME Conference has been approved for a maximum of 24 Continuing Education Points. CME : For the three congress days a total of 20 hours of continuing education (24 credit points for Germany) will be awarded. 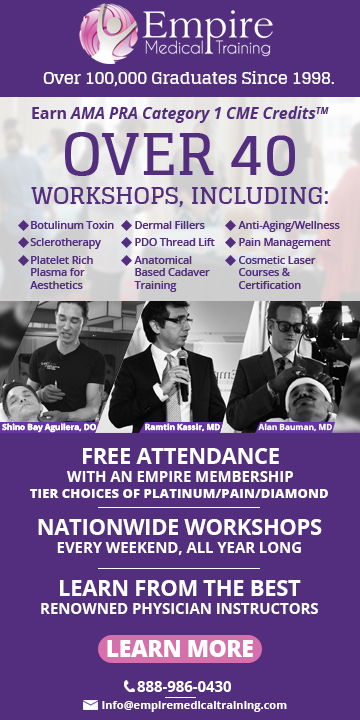 For the Osteology Workshops a total of 4 hours of continuing education (5 credit points for Germany) will be awarded to the registered participants. Additional details will be posted as soon as they are available. World Nursing Congress 2019 is organized by Ology Mavens Inc and will be held from Apr 25 - 26, 2019 at AC Hotel by Marriott Valencia, Valencia, Spain. The target audience for this medical event is Scientists, Doctors, Professors, Nursing Lecturers, Nurses, Directors of Association and Societies, Researchers, Training Institutes, Nurse Practitioner, Nursing Professionals, Healthcare Professionals, Renowned Nursing personalities, Students, Business Professionals, Academic Professionals, Medical Colleges and Hospitals. Course Description: World Nursing 2019 will bring together experts like Registered Nurses, Doctors, Deans, Healthcare specialists, Professors, Honorary presidents, Society members, Association members from Europe, USA, Middle East and Asia Pacific to exchange their advanced practical experiences and research evidences related to nursing and provides good networking opportunities from various countries attending this Conference in Spain during April 2019. Conference Highlights: Nursing Care, Nursing Education & Management, Nursing Informatics, Cardiology Nursing, Critical Care Nursing, Emergency and Ambulatory Care Nursing, Evidence-Based Nursing Practice, Forensic Nursing Science, Geriatric Nursing Care, Legal Nursing, Men Nursing, Midwifery Nursing and Pregnancy, Nursing Research, Oncology Nursing, Paediatric Nursing, Psychiatric and Mental Health Nursing, Public Health & Community Health Nursing, Surgical Nursing, Telemedicine & e-health, Advances in Nursing Practice. Additional details will be posted as soon as they are available. 26th International Symposium on Current Issues and Controversies in Psychiatry is organized by Controversias Barcelona and will be held from Apr 25 - 27, 2019 at Auditorium Axa, Barcelona, Catalonia, Spain. Accreditation: CME/CPD accreditation: The symposium has been granted with 12 CME credits by the European Accreditation Council for Continuing Medical Education (EACCME) and its certification to those who attend the symposium. The EACCME is an institution of the European Union of Medical Specialists (UEMS). CCFCPS accreditation: The symposium has been granted with 1.9 credits by the Consell Català de Formacio Continuada de les Professions Sanitaries - Comision de Formación Continua del Sistema Nacional de Salud, with number 09/024068-MD. Description: Three days of lectures with the latest international research in the fields surrounding the "Treatment resistance". Speakers from around the world, including: John Kane (USA), German Berrios (UK), Christoph U. Correll (Germany), Carmine Pariante (UK), Herbert Y. Meltzer (USA), Colleen K. Loo (Australia), Borwin Bandelow (Germany). The symposium will be transmitted on live video streaming. Additional details will be posted as soon as they are available. VI MIPS Annual Meeting is organized by Defoe Congresses / Defoe Congressi and will be held from Apr 25 - 27, 2019 at World Trade Center Barcelona, Barcelona, Catalonia, Spain. Conference Topics: The scientific theme of the VI MIPS Annual Meeting is: • Bringing global scientific evidence to daily clinical practice in the • Mediterranean region • Classical vaginal surgery and vaginal mesh surgery in 2019 • Laparoscopic sacro-colpopexy • EUGA Lecture: Meshes for POP surgery • Physiotherapy and Sacral Neuromodulation for faecal incontinence • Artificial Sphincter in Mediterranean Setting • Adjustable and Fixed Slings • Urodynamics in OAB • CPP: Physiotherapy, Instillation for BPS patients, Pudendal entrapment • Neurogenic Bladder: Urodynamics, Intermittent self-catheterisation • Management of recurrent UTI • SIUD Lecture: SUI and detrusor underactivity • PFMT and TOT in SUI • SINUG lecture: Simultaneous treatment of SUI and POP • Bulking agents in Mediterranean countries • Evaluation and treatment of female sexual Dysfunction • Laser treatment implications in female sexual dysfunction • Vaginal therapies in menopausal sexual and orgasmic dysfunction Dear Friends and Colleagues, It gives me great pleasure, as the President, to announce The Sixth MIPS Annual meeting. The venue is the beautiful city of Barcelona, Spain- the headquarters of the Union for the Mediterranean and one of the largest metropolises on the Mediterranean Sea with a rich historical and cultural heritage and spectacular sandy beaches. The meeting will be held on 25-27 April, 2019 in the Barcelona World Trade Centre located right on the seafront, just a few minutes from downtown Barcelona. The scientific theme is “ Bringing global scientific evidence to daily clinical practice in the Mediterranean region”. Congratulations to our Host Chair: Dr, Carlos Errando-Smet, The Vice- President of MIPS, who will most certainly organize an excellent meeting to build on the outstanding successes of the previous five annual MIPS meetings. The scientific programme is, as always, multi-disciplinary and specific to heath care provider’s educational needs and training priorities as well as patient care in the Mediterranean countries. There will be two awards for the best basic science and clinical presentation. The two winners will receive free MIPS annual subscription for 2019 as well as free registration for MIPS 2020. I advise our young colleagues, whether fellows or residents, to use this opportunity, to share their research findings with Mediterranean colleagues. We are currently working on the scientific programme and hope to publish the first announcement by the second week of November on the website. We would like to cordially invite you to attend our sixth annual meeting. This is an occasion to further the scientific interaction and friendship between health care providers working in the Mediterranean region with a consequent positive impact on incontinence care and service delivery to our patients. Your participation in the Business Annual General Meeting of Members is very important to us because we want to listen to your views and ideas and maintain our personal interaction with all of our members. Carlos, our Executive Director Natalia Trotta and I are very much looking forward to welcome you in Barcelona in April, 2019! Dear Urogynaecologists, Urologists and Physiotherapists from the Mediterranean Countries, I am very pleased to invite you to our Sixth Annual Meeting to be held in Barcelona, Spain on 25-27 April, 2019. From its foundation around 2000 B.C. under the different names of Barcilo, Barcino or Barkeno, the city has always influenced the social cultural and economical development of our Mediterranean culture. Taking advantage of attending an outstanding scientific event, you will also have the opportunity to enjoy a versatile city in the Spring, the best time of the year to visit Barcelona. The meeting will take place in the Barcelona World Trade Center, located right on the seafront, just a few minutes from downtown. Topics related to Urogynaecology, Reconstructive and Functional Urology and Pelvic floor Physiotherapy will be discussed and debated with the objective of integrating the global scientific evidence in these fields to clinical practice in our unique Mediterranean setting. I hope to see you all in Barcelona in April 2019. Carlos Errando, Meeting Chair Additional details will be posted as soon as they are available. World Pediatrics Congress and Neonatology is organized by Ology Mavens Inc and will be held from Apr 25 - 26, 2019 at AC Hotel by Marriott Valencia, Valencia, Spain. The target audience for this medical event is Pediatricians, Neonatologists, Pediatrics Specialists. health educators, public health professionals, community health workers, patient advocates, physicians, nurses, medical leaders, multicultural leaders, legislators, policy makers. Congress Description: The theme of the Pediatrics and Neonatology 2019 Conference is “Global Child Health and Development, Novel Technology in Child & Infant Care” This Congress provides Clinicians with the latest information on current issues in Pediatrics and Neonatology to explore updates in the Pediatric practice and New born Infants by experts in the field with interactive and engaging sessions in both minor and major group learning formats, this event offers the opportunity to advance knowledge and skills in Pediatrics and Neonatology. The Conference program will be both exciting and innovative in its wide-ranging and multidisciplinary content. In addition to oral and poster presentations by world prominent speakers, we will be providing workshops, interactive sessions as well as several sessions specifically dedicated to nurses, patients and sponsors. This is an event committed completely to offer an ideal forum for all to refresh knowledge and offer plenty of networking opportunities with leading scientists, researchers, practitioners, friends and colleagues, as well as sponsors and exhibitors. Conference Objectives: • Describe the elements of prevention, screening, treatment and quality of life. • Engage new and existing partners to collaborate on strategic projects • Identify health disparities that exist and develop methods for addressing them within activities. • Global Child Health and Development, Novel Technology in Child & Infant Caree Representatives Additional details will be posted as soon as they are available. Enhancing Pediatric Neuroplasticity is organized by International Chiropractic Pediatric Association (ICPA) and will be held from Apr 27 - 28, 2019 at Barcelona College of Chiropractic (BCC), Barcelona, Catalonia, Spain. The target audience for this medical event is open to chiropractors and students: 5th quarter/4th trimester or higher. This CME Conference has been approved for a maximum of 12 hours of continuing education credits. Course Description : This course was previously titled "Pediatric Alphabet Soup: ASD, ADHD, LD, PDD, SPD…what they mean & how to care for them". The innovative approach to a challenging and rapidly increasing population that combines a special blend of chiropractic, functional neurology, occupational therapy and nutritional counseling. This seminar provides a hands-on learning environment and tools you can use in practice. Course Goals : Gain the knowledge and confidence to specifically care for children who come into your office with a variety of neurodevelopmental issues. This will range from infant challenges such as nursing/latching issues, colic/reflux and difficulties in crawling/walking to many of the “Alphabet Soup” disorders like ADHD, ASD, LD, and SPD. You will also develop an understanding of specific history taking and examination procedures to special types of chiropractic adjusting, functional neurological exercises and dietary changes. Additional details will be posted as soon as they are available. Barcelona Live Surgery Course is organized by Rhinoplasty Society of Europe (RSE) and will be held from May 01 - 04, 2019 at Barcelona, Catalonia, Spain. Additional details will be posted as soon as they are available. Breast MRI and Female Imaging is organized by Erasmus Course on Magnetic Resonance Imaging (EMRI) and will be held during May 09 - 11, 2019 at Valencia, Valencian Community, Spain. Additional details will be posted as soon as they are available. Documentation in the New Age: A Nurses' Best Defense is organized by Continuing Education, Inc and will be held from May 12 - 19, 2019 at Oasis of the Seas, Barcelona, Catalonia, Spain. The target audience for this medical event is Nurses, Nurse Practitioners. This CME Conference has been approved for a maximum of 18.5 Contact Hours / 1.8 CEU. Conference Description : This program is intended for nurses who want to deconstruct and review the structure of progress note and EMR entries and analyze whether the note properly focuses on patient assessment, nursing actions, patient responses, and nursing recommendations. Participants of this program will be afforded the opportunity to analyze case studies, write their own nurses note, and engage in a group evaluation of the nursing record. Additionally, this program will offer nurses the opportunity, through role play and case scenarios, to demonstrate competency and best practices in medical record documentation in nursing specialty practice areas. Conference Objectives are : • Provide a definition of "documentation". • Discuss the purposes of documentation. • Identify three recording systems of nursing care. • Describe the benefits and pitfalls of various systems of nursing documentation. • Identify three regulatory bodies providing directives for documentation. • Identify three appropriate documentation methods. • Identify five legal issues that arise with inappropriate documentation. • Discuss disciplinary actions that employers use to address inappropriate documentation practices. • Discuss emerging documentation concerns regarding electronic medical record systems, faxing, and texting. • Compare and contrast competencies in nursing documentation examples. • Examine a wide variety of clinical situations, variables related to patient diversity, patient prioritization issues, legal and ethical considerations. • Discuss evidence based practices that illustrate provision of nursing care in accordance with scope and standards of practice. • Distinguish between appropriate standards of ethical and legal practice interventions. • Recognize documentation practices that create legal and professional risks. • Demonstrate competency and best practices in medical record documentation in nursing specialty practice areas. • Develop a patient specific care plan that illustrates the provision of nursing care in accordance with best practices and standards of practice. Additional details will be posted as soon as they are available.